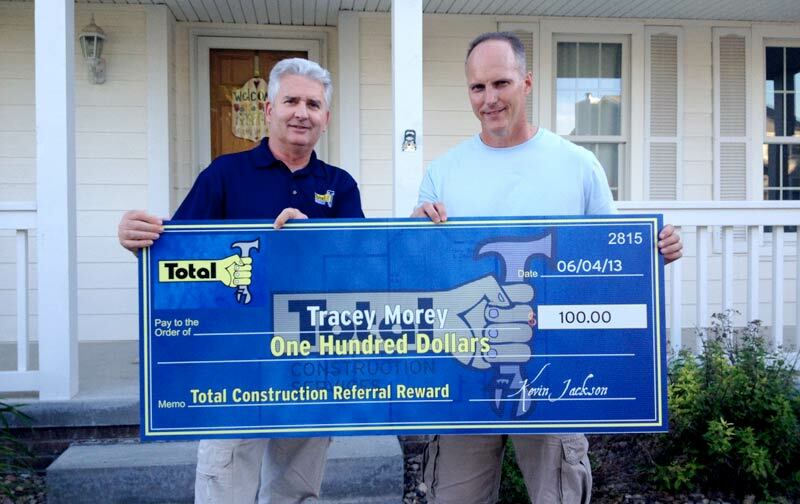 As part of our Referral Reward program, and as a way of saying thanks after serving the Metro since 1987, Total Construction is rewarding people $100 if they refer someone to our company who then uses our services—whether it’s roof replacement, repair, restoration or remodeling, or any other Total Construction service. Simply go to mytotalconstruction.com/rewards to refer someone to Total Construction and, if they qualify by doing business with us, we’ll send $100 your way. Not only will you receive a reward for each successful referral who works with us, but you can also rest assured that we’ll do the job right and make your references meaningful. The referral reward program is just another way Total Construction is showing our appreciation for many great years of serving great people. Here’s to many more. To help raise funds that will go to purchase 40,000 combination smoke/carbon monoxide detectors that will be installed in low-income homes by the Omaha Fire Department, Total Construction Services is pleased to sponsor this year’s First Responders Action Day — a free-of-charge, family-friendly event featuring live demonstrations from the Omaha Police Department and Fire & Rescue Department. Guests of all ages can walk among different action zones that include a skid car, bomb robot, drunk driving simulator, segway demo, horse patrol and K-9 demonstration in the police action zones; a hydrant sprinkler, barrel demo, mobile command center, firefighter gear, HAZMAT truck, firetrucks, jaws of life, fire hoses and dive team rescues in the Firefighter action zones; and for the kids, a coloring contest, games, a photo station with police officers and firefighters, a deejay, giveaways and free food in the Kid action zones. 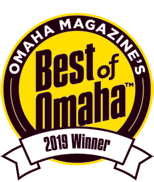 As a local expert in repair ranging from hail, wind and rain to any other disaster brought upon the home, Total Construction Services is honored to support another team of disaster experts—the brave men and women who serve in Omaha’s police and fire departments. This event is produced by The First Responders’ Critical Support Foundation. Who’s repairing your Roof? Look for Proof. As this storm season unfolds, it seems that wind and hail aren’t the only culprits threatening the integrity of your roof. In a story so peculiar that WOWT investigated and aired it on their evening news, a few brave scammers are cold calling residents across the Metro and posing as Total Construction. Of course, our job is to ensure that you receive the best roof repair and never get shortchanged by imitators providing subpar work. That’s why we’re sharing the following tips to ensure your roof receives repair from our expert craftsmen—and not counterfeits. Total Construction has served the Metro for more than 25 years. We’ve built our name through customer referrals and word of mouth—never solicitation by phone. If someone cold calls you with the Total Construction name, the call is phony (no pun intended). Get their number and try calling them back. When you dial it, does it connect to a legitimate company? A human being with a first and last name? Check for a tangible presence. Ask where they’re located. Does the company have a legitimate local address? What about a company website? Does the website have real employee profiles that put a real face and name behind their service? Do their trucks and uniforms say Total Construction? Check for awards, testimonials and credentials. Total Construction has received the 2010 Better Business Bureau Integrity Award, an abundance of real testimonials from satisfied customers, and a license from the state. It’s illegal to do roofing work in Omaha without a license, and yet another good way to expose an inadequate roofer trying to solicit your business. Remember, when you need expert roofing, restoration, or remodeling, Total Construction is ready to put our experience to work for you. Accept no substitute!